Home / Outdoor Cushions / Outdoor Furniture Cushions – what makes a good one? Australia’s outdoor conditions are harsh. From long hot days with high UV through to soaking summer storms, only high quality, robust materials will stand the test of time in our sunburnt country. Outdoor cushion materials are no different. 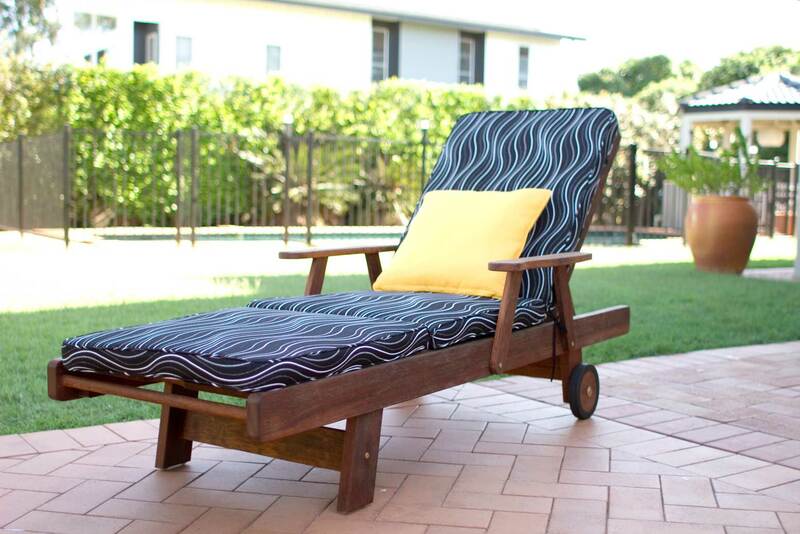 Let’s take a look at the properties you should be looking for in your next set of outdoor cushions…so you don’t find yourself needing to replace them every 6 months! The fabric. 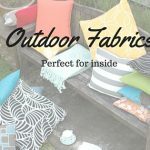 What are the best fabrics for outdoor cushions? Commonly found materials like spun-polyester, cotton or a blend of the two are generally not recommend for outdoor use. Fabrics like Olefin and acrylic are a better choice. Solution dyed olefin or acrylic materials are the best option. Why does solution dying give the most vibrant, long lasting colour? Solution dying means that the colour is added to the substance that makes the material before the fibres are formed. This means that the colour is embedded into the whole of the fibre. The alternative is batch dying or printing after the fibre is produced. This will only coat the outer layer with the colour. Consider the following analogy for a green coloured fabric: compare an apple and a grape cut in half. The grape shows how a solution dyed fabric will look with the colour all the way through the fabric, while the apple shows how a batch dyed fabric will appear with the colouring only on the outermost layer. This simply means that it will take longer before the colour starts to loose its vibrancy with a solution dyed fabric. Outdoor fabrics should also be treated around each fibre to keep the fabric water repellent and stain resistant. Outdoor cushions will inevitably get damp or dusty or covered in bird droppings if not stored when not in use. You want a material that is going to resist these types of problems easily. Some fabrics, like Sunproof fabrics, are treated with a sanitized product. This inhibits microbial development, mould and algae infestation in the fabric. This does not stop mould from forming on food/oil deposits that are transferred to the fabric from dirty hands, etc. The fabric used for outdoor cushions should also container UV blocking agents. These protect the polymer backbone of the fabric from UV radiation. This protects the fibre itself from deteriorating and also prevents fading. This mean it will have the ability to withstand the effects of prolonged exposure to sunlight, wind, rain and humidity, making it long lasting and ideally suited to the Australian outdoor environment. Is the fabric free of substances which might be harmful to humans and environment? This in not always the case. Look for Oeko-Tex certification or similar for peace of mind on the safety of your fabric. The filling. What cushion filling gives the best feel? All cushions require good quality internal foams if they are going to stand up to constant use. A high density foam will provide cushioning that won’t degrade quickly or leave divots where people have been sitting. Some cushion’s foam will also be wrapped in Dacron – this helps to give the cushion a smooth outer layer and adds a bit of softness. This dacron/foam/dacron filling is ideal both for providing cushion with that comfortable cushion feel and for improving the way the cushion cover appears, giving a softer, more rounded and finished look. It also limits wear and stretching of the fabric. If you intend to leave your cushions out in full weather (e.g. rain) you may want to consider a quick dry foam. This will add significant cost to the cushion, but will help the cushion to dry more quickly after being wet. For this to work you need to consider what the cushion is sitting on. The downside of course is that the cushion may still be wet when you intend to use it. We recommend storing a cushion when not in use, then it will be dry and clean when you do want to use it. Stitching. Holding it all together. A chain is only a strong as its weakest link… this holds true with fabrics. A great outdoor fabric sewn with substandard thread will literally come apart at the seams. 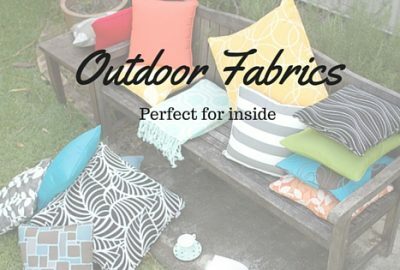 Look for cushions that have quality outdoor specific thread used for stitching. Zippers. Make maintenance easy on yourself. It is inevitable that outdoor cushions will require a wash from time to time. This will be much easier if you can remove the covers, throw them in your washing machine and have them come out refreshed. Who has the time to hand wash? Look for cushions that have zippers, otherwise you will be limited to spot cleaning or heavy loads with long drying times. So now you know what you should be looking for, browse the Embellish Imports range of quality outdoor furniture cushions here.